It’s popcorn time, and you’ve come to the right place. Below is the basic information you need for the Cub Scouts Annual Popcorn Sale. The Scout Popcorn Sale is here again! The importance of selling popcorn really can’t be overstated. 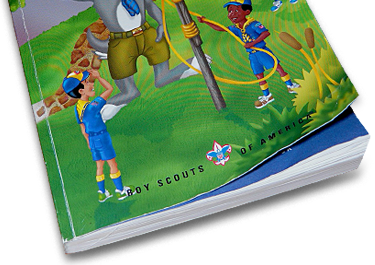 For scouts, direct benefits of the sale come in the form of earning sales prizes and gaining experience with presenting, selling, and achieving goals. For the Pack, the sale is critical to “making the Pack go”. Indirect benefits for scouts (and parents) come later — after the sale — when the Pack is able to meet its financial commitments for events, supplies, camp support, leadership training and more that go into providing the rewarding Pack 155 experience. This is our only fundraiser! The more popcorn we sell, the more options we have for expanding our programming! Show & Sell – Get a starter inventory kit and start selling! Take Order – Contact customers for their order, let Kernel know what you need, then deliver to customers. Storefront – Do not use your personal inventory! Storefront inventory kits will be coordinated by Angie Mayr. Online – Please contact the Kernel to get set up with an online account if needed. Going out 4 or 5 times in your neighborhood and then approaching family, friends, and parents’ coworkers, and working at a few storefronts will easily make the Pack goal. Make sure scouts know that while they can earn great prizes, it’s also about earning their way for the year’s activities—and helping out our community! Remember to make it fun! Have a daily goal (# of houses, # of lines on the order form, etc.). Take snack/reward breaks if needed! “Hangry” scouts are no fun! The Pack has already signed up for may store front days and times. Please first check the link below to see what days and times are available. We want to fill the days we have already signed up for. Angie will coordinate with Scouts and Parents for inventory, set up, and take down. Stay Tuned for more information! We are still working on this! Each week, one lucky scout will win a $150 Cabelas Gift Card! Drawing dates are: October 5, 12, 19, 26. Drawings occur at 4pm on each Friday in October. Winners will be announced via the Glacier’s Edge Council Facebook page and by phone. 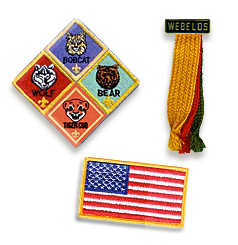 To submit, take a photo or scan and email to glaciersedgepopcorn@scouting.org and pack155popcornsale@gmail.com. High-end and low sales volume items will not be included in kits. You will take orders for those and request from kernel. Report weekly ending inventory each Sunday by 9pm via Google Form or email. Bring payment for items sold when you pick up more popcorn. We are no longer waiting until the end of the sale to collect money. This will help to measure what is actually sold vs what we think has been sold. Assuming 40 scouts selling, if each scout sells 2 boxes of Movie Theater Microwave Popcorn ($25), that would give Blessings in a Backpack enough popcorn for the entire school year! This donation order would also be filled from our remaining inventory (or better if we must order more), thus hopefully reducing our returned popcorn percentage.